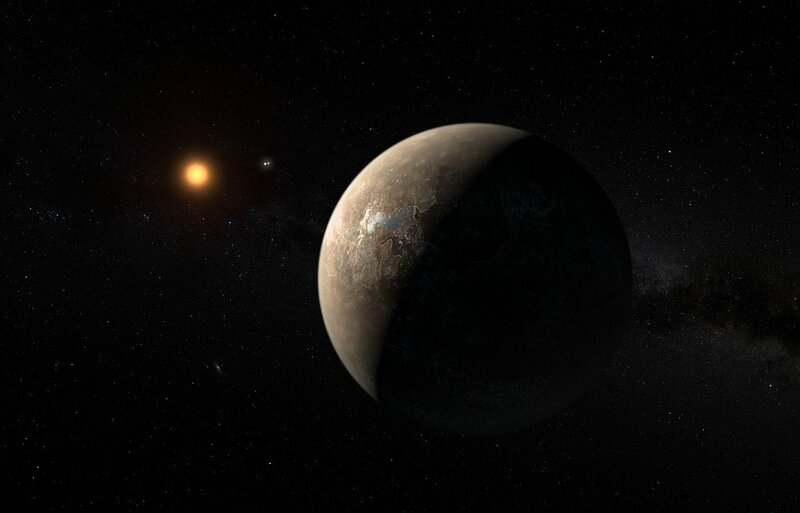 Ever since the European Southern Observatory (ESO) announced that they had discovered an exoplanet in the nearby system of Proxima Centauri, there have been a lot of questions about this exoplanet. In addition to whether or not this planet could actually support life, astronomers have also been eager to see if its companion stars – Alpha Centauri A and B – have exoplanets too. Prior to the discovery of Proxima b, Alpha Centauri was thought to host the closest exoplanets to Earth (Alpha Bb and Bc). However, time has cast doubt on the existence of the first, while the second’s existence remains unconfirmed. But thanks to a recent agreement between the ESO and Breakthrough Initiatives, we may yet find out if there are exoplanets in Alpha Centauri – which will come in handy when it comes time to explore there! In accordance with this agreement, Breakthrough Initiatives will provide additional funds so that the ESO’s Very Large Telescope (VLT), located at the La Silla Paranal Observatory in Chile, can be modified to conduct a special search program of Alpha Centauri. This will involve upgrading the VLT Imager and Spectrometer for mid-Infrared (VISIR) instrument with new equipment that will enhance its planet-hunting abilities. This includes a new instrument module that will allow the VLT to use a technique known as coronagraphy – a form of adaptive optics that corrects for a star’s brightness, thus making it easier for a telescope to spot the thermal glow of orbiting planets around them. While the Breakthrough Prize Foundation will pay a large fraction of the upgrade costs, the ESO will be making the VLT and its staff available to conduct the survey – which is scheduled for 2019. Such an agreement is truly a win-win scenario. For the ESO, this will not only improve the VLT’s imaging abilities, but will also assist with the development of the European Extremely Large Telescope (E-ELT). This proposed array, which is scheduled for completion by 2024, will rely on the Mid-infrared E-ELT Imager and Spectrograph (METIS) instrument to hunt for potentially habitable exoplanets. Any lessons learned from the upgrade of VISIR will allow them to develop the necessary expertise to run METIS, and will also allow them to test the effectiveness of the technology beforehand. For Breakthrough Initiatives, determining if there are any planets in the Alpha Centauri system will go a long way towards helping them mount their historic mission to this star. In the coming years, Breakthrough Initiatives hopes to mount the first interstellar voyage in history using a lightsail and nanocraft that would rely on lasers to push it up to relativistic speeds (20% the speed of light). Known as Breakthrough Starshot, this craft could be ready to launch in a few years time, and would reach Alpha Centauri in just 20 years time. Once there, the nanocraft (using a series of microsensors) would relay information back to Earth about the Alpha Centauri system – which would include any information on its system of planets, and whether or not they are habitable. Hence, determining if there’s anything there to study in the first place will help lay the groundwork for the mission. It’s one of the hallmarks of the new space age: a private and public organization coming together for the sake of mutual benefit. But when those benefits include advancing scientific research, space exploration, and the hunt for habitable planets other than our own, it truly is a win-win situation! Remember that planet discovered near Alpha Centauri almost exactly a year ago? As you may remember, it’s the closest system to Earth, making some people speculate about how quickly we could get a spacecraft in that general direction. Four light years is close in galactic terms, but it’s a little far away for the technology we have now — unless we wanted to wait a few tens thousands of years for the journey to complete. Meanwhile, we can at least take pictures of that star system. The Hubble Space Telescope team has released a new picture of Alpha Centauri’s sister star, Proxima Centauri. While Proxima is technically the closest star to Earth, it’s too faint to be seen by the naked eye, which is not all that surprising given it is only an eighth of the sun’s mass. Sometimes, however, it gets a little brighter. “Proxima is what is known as a ‘flare star’, meaning that convection processes within the star’s body make it prone to random and dramatic changes in brightness.” stated the Hubble European Space Agency Information Centre. The picture was nabbed with Hubble’s Wide Field and Planetary Camera 2, with neighbouring stars Alpha Centauri A and B out of the frame. It’s time to “get real” about naming exoplanets, says Uwingu CEO and scientist Dr. Alan Stern. And so the latest project from the space funding startup company is a contest to name the nearest exoplanet, currently known as Alpha Centauri Bb. Nominations for new names for Alpha Centauri Bb cost $4.99; votes for nominated names are $0.99. Proceeds from naming and voting will help fuel new Uwingu grants to fund space exploration, research, and education. The names won’t be officially approved by the International Astronomical Union, but Stern said they will be similar to the names given to features on Mars by the mission science teams (such as Mt. Sharp on Mars –the IAU approved name is Aeolis Mons) that everyone ends up using. So far, the IAU’s stance on naming exoplanets is that there is seemingly going to be so many of them, (we’re nearing the 1,000 mark) that it will be difficult to name them all. In response to frequent questions about plans to assign actual names to extra-solar planets, the IAU sees no need and has no plan to assign names to these objects at the present stage of our knowledge. Indeed, if planets are found to occur very frequently in the Universe, a system of individual names for planets might well rapidly be found equally impracticable as it is for stars, as planet discoveries progress. Previously Uwingu has offered the chance to create a “baby book” of names that can be used for exoplanets. For this contest, they are naming a specific planet, and the name getting the highest number of votes will be declared the public’s name for this mysterious new world. “Never before has the public been asked to choose its favorite name for a planet,” says Uwingu. Anyone can nominate one or more names; anyone can vote. The namer of the most popular new name for alpha Cen Bb will receive prizes from Uwingu; there will also be prizes for runner-ups, and for all names that reach thresholds of 100, 1,000, and 10,000 votes. There are those who have been critical of Uwingu, but our stance is that Uwingu is so far the only group or organization to step forward with innovative, out-of-the-box ways to try and solve what seems to be a continuous, perennial problem: how to fund creative space and astronomy projects and move beyond the old tried and not always true methods of relying on government grants and subsidies or angel donors. Former president of the IAU Planetary Systems Science body, Karen Meech told Universe Today last year that since the IAU is the only scientifically recognized arbiter of astronomical names, any contests for names from the public will not be officially recognized by the scientific community. But, it’s obvious people love to name things and people are eventually going to start referring to endearing exoplanets with “real” names instead of the license-plate like names currently used.